What is a casual game? Generally, it’s a game that has a fairly simple central concept — say, rotating falling blocks in order to form solid lines as in Tetris — which is easy to comprehend yet can keep a player occupied for hours, days, or however much free time happens to be available. There are a number of popular casual game concepts that float about and any halfway talented programmer can slam together their own version of one (I understand that the iPhone is seeing a lot of this very phenomenon right now). 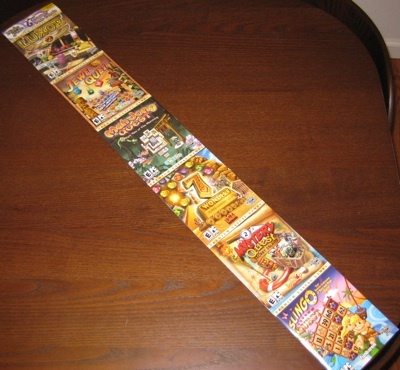 In fact, I hesitated to touch any of the games for a good while because I was still debating how best to scan the whole package for MobyGames. I finally settled on a solution and was free to start playing, which I did, and that was several months ago. Why haven’t I gotten around to writing them up yet? Because I have enjoyed playing them so much that I would rather play them than write things about them. So, again, what defines a premium casual game above and beyond a standard casual game? The premium flavor takes the simple concept and spruces it up in the graphics, animation, sound, music, storyline, and gameplay dynamic departments. The first 4 items of that list, pertaining to video and audio, should be pretty straightforward to comprehend. 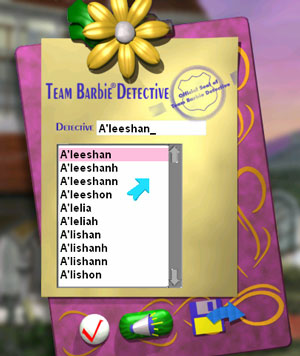 As for storyline, most of these games attempt to have some sort of plot to justify the progression of levels, even though each level is the same basic game over and over again. 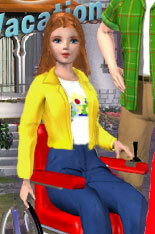 The game tries to give the player a feeling of progression. Finally, these premium titles usually throw in assorted value-adds to the gameplay — and typically hold the player’s hand while introducing them — in order to give the player a few more characteristics about the game to master. The first game I’d like to discuss is called 7 Wonders of the Ancient World and it’s easily mine and my friend’s very favorite of the lot. For the past few months, I have been telling everyone who will listen how awesome this game is and how often I’ve been playing it. Then I describe the gameplay and they shrug, wondering what’s so remarkable about the game — the concept has been around for years. 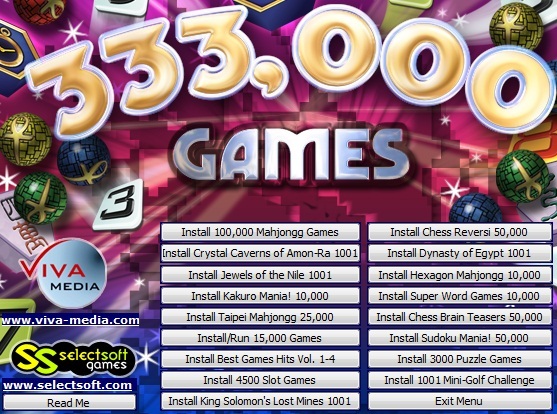 According to MobyGames, 7 Wonders is categorized as a tile matching (creation) puzzle game and it presently lists 138 games of the type. It’s simple enough– you swap adjacent pairs of symbols in order to complete strings of 3 symbols. In this variation, there are 7 stages corresponding to the 7 wonders of the ancient world, and each has 7 levels. Your job is to build them by supplying enough bricks for the cheerful, driven workers down below. The value-adds, gameplay-wise, are that destroying strings of symbols also destroys blocks that they are sitting on, which is the raw building material for the wonders. 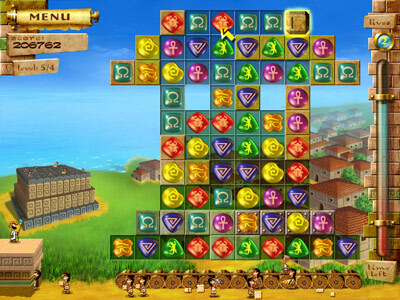 After enough blocks are destroyed, the game drops a cornerstone piece into the puzzle that the player must navigate down to the bottom where the workers can use it. And of course, the hourglass is ticking through all of this. Naturally, there are a number of powerups (horizontal and horizontal/vertical fireballs which destroy all symbols on their rows/columns; stars that randomly destroy symbols) to keep the gameplay a little more varied. It’s amazing how much strategy you can develop for even the simplest games. In the level shown above, for example, I would identify the top 4 rows as the “pain points”, the areas that would be the toughest to clear. I made sure to focus on those at the start of each turn and worry about the remainder of the puzzle as a secondary concern. After all, fireball powerups would naturally descend, and those often serve as wildcards during the endgame. The second game I tried from the 6-pack was Jewel Quest. It’s strange to think that if I had tried this game before I had played 7 Wonders, I might have been gushing about this one instead. As it stands, this one struck me as unremarkable since it was the same type of game as the first. Not a knock; I just enjoyed 7 Wonders a bit more. Then there was Luxor which was confusingly packaged as Luxor 2 (Luxor 2 on the outside, but a CD-ROM plainly marked Luxor on the inside). I don’t know which it was supposed to be, but I hardly suspect it makes a big difference. These both fall into a casual game category called Puzz Loop variants. The idea here is that some force is pushing a bunch of multi-colored jewels/marbles/stones towards an end destination. The player must fire colored orbs into the chain in order to create chains of 3 or more of the same color and destroy them before any balls reach the end destination. So Luxor is the second game of the 6-pack that I fell in love with. I didn’t think I would get so involved until I played for 4+ hours straight one night, only retiring at 2am. Of course, there are tons of powerups to help you destroy the balls, and the game throws some fiendish courses right back at you to ramp up the difficulty. Oh, the strategies you will assess. 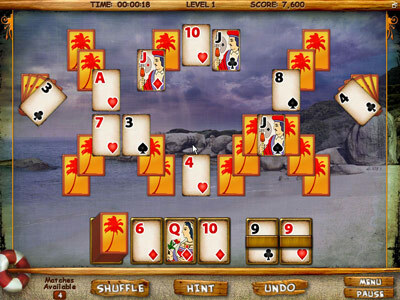 I hit a real slump with Mystery Solitaire: Secret Island. I had to give it the old college try for the sake of a MobyGames entry but I just don’t have any interest in solitaire card games. 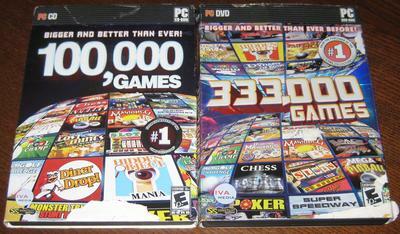 In fact, this might be the first computer solitaire card game I have ever played. I remember playing solitaire card games as a kid and I seem to recall that I didn’t enjoy it very much. Maybe that helps to explain my quest at a young age to find computer games — any computer games — to play. It seems that all I’m doing is matching pairs of cards until all the pairs are matched. Then the game allows me to progress to another island (trying to keep some kind of tenuous story arc). To it’s credit, the game lives up to its premium casual game branding in terms of audio, graphics, story progression, and gameplay. 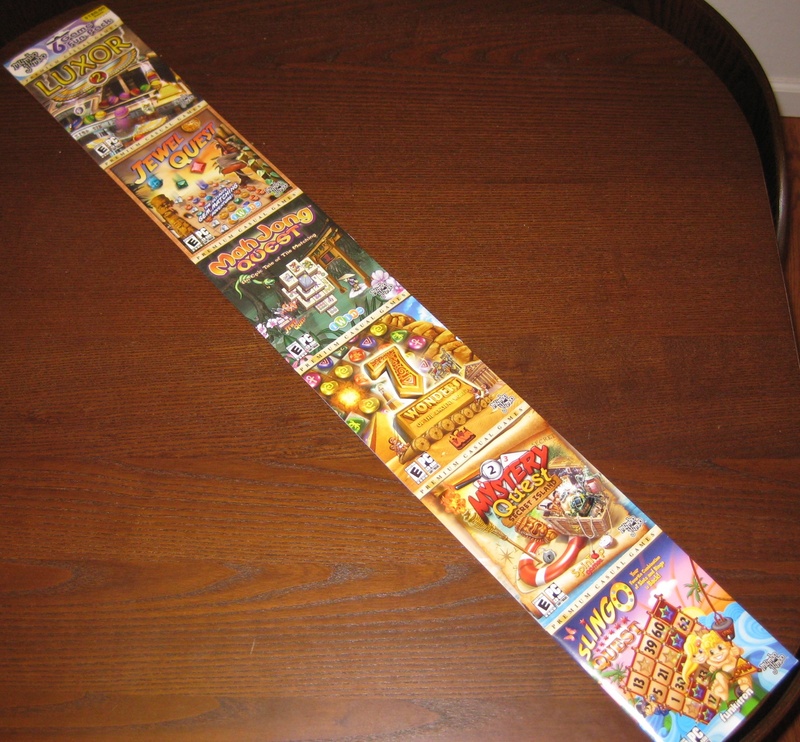 But this is still the most pointless of all the games in this pack. Having said that about card solitaire, it’s odd that I should enjoy Mah Jong Quest. 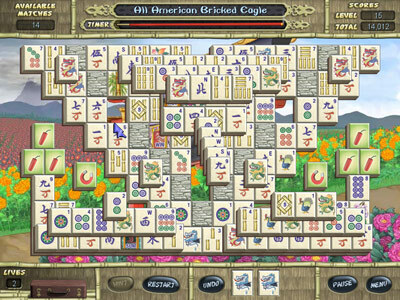 I remember playing Mahjongg — real, physical, multiplayer Mahjongg — when I was growing up, and I remember seeing many people playing solitaire Mahjongg games on various computer systems as far back as the DOS days. But I have never played a solitaire Mahjongg computer game. It doesn’t sound like it would be too interesting — just matching pairs of tiles. But danged if it didn’t keep me coming back for more, night after night. Now this game has a real storyline. Young Kwazi is peacefully playing with his Mahjongg tiles when his village is ravaged by demons. Kwazi must embark on a quest throughout the lands to defeat the demons while meeting and helping a lot of people along the way. And he accomplishes everything by… playing with his Mahjongg tiles. That’s powerful stuff. So how is this so different than card solitaire if they’re both pair matching games? I’m not sure exactly. Perhaps it’s the fact that I can see all (or many) of the tiles up front. That can help me plan moves. Plus, I can’t just take any tiles; there are certain constraints (a tile can’t be paired if both sides are touching other tiles, or if another tile is stacked on top of it). 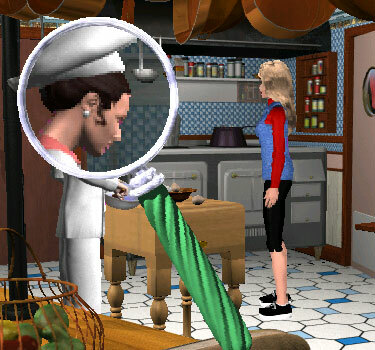 Somehow, I can imagine an upgraded version of this concept being the first casual game created for the emerging 3D monitors. Depth perception helps. There’s one more game in the pack and it’s probably the least intuitive of the bunch — Slingo Quest. Slingo, it turns out, is a combination of slot machines and Bingo. 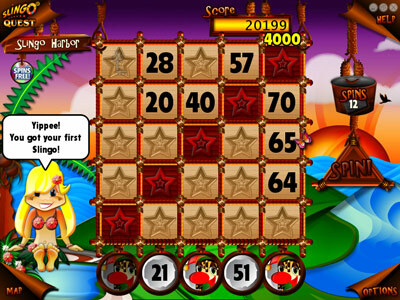 You spin the slots that occur below each column of a Bingo card and mark off numbers as they come up. I’ll be the first to admit that it sounded totally uninteresting. And I’ll also be the first to admit that it had me playing for hours on end the first time I booted it up for a review. Again, I can’t believe how much I obsessed over optimal strategy when I played this game, or how far I managed to get (and wanted to get). 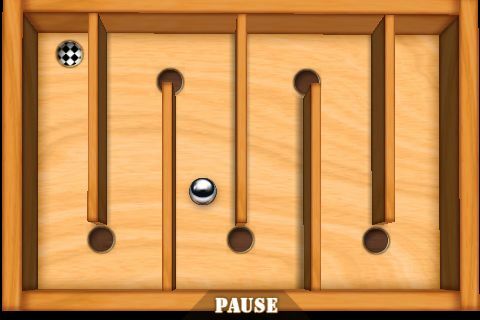 Once upon a time in this blog, I was seriously looking forward to playing a game called 3D Marble Flip one evening because it reminded me of a game I had always wanted to play when I was a kid but never had the opportunity. The experience left me disappointed. Today, I was reading about something called The Apple Design Awards. The “Best iPhone Student App” went to a title named Wooden Labyrinth 3D. Now this is more along the lines of what I was looking for. So I finally took the plunge today into Apple’s App Store — only 11 months after it first opened for business (I’m not an early adopter by any stretch of the imagination) — and made this game my first app purchase for my iPod Touch. This is actually a marked improvement, both over the previously mentioned computerized version as well as the original wooden version. It’s better than 3D Marble Flip because it actually has some decent physics and the board doesn’t right itself when you discontinue input. In fact, you can’t discontinue input, and that’s what makes this game so compelling and appropriate for the platform– you use the unit’s accelerometer to control the ball, i.e., tilt the iPhone/iPod Touch in order to maneuver the marble. How is this better than the original game? 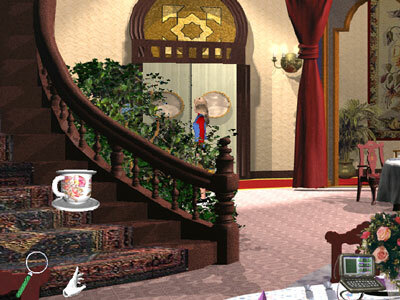 The original game had approximately one difficulty level, if memory serves, and it was quite challenging. This game throws you a few softballs to get acclimated and then ramps up the difficulty (see above screenshot). Further, this game has a nifty jump feature that allows you to overcome low obstacles– just tap the bottom of the unit. Brilliant. I’m pleased to say that this game earns a rare spot on my Good list. I’m rather looking forward to checking out some more iPhone/iPod Touch games– it’s a rapidly growing area and plenty of opportunity for MobyGames entry. Further, screenshots are unbelievably easy to capture (hold home button and press the top button; Mac software will automatically offer to download screenshots during the next sync). 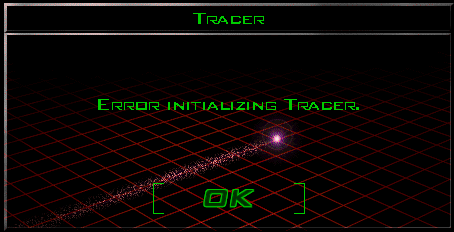 I mean “Tracer” is supposed to be the name of a dreaded computer virus that can kill a hacker like you, so this might be part of the narrative setup. The year is 2023 and you’re a successful, mercenary hacker, highly reputed in the underground for being able to destroy entire multi-national corporations by sabotaging their computer systems. You do this by entering cyberspace somehow and use a series of code pads in order to forge paths to the data core. After you tap into this latest assignment, your coach/agent/guide artificial intelligence (AI) warns you that this job is a setup and that there is a killer virus on your tail. It was rather frustrating to keep up with all the jargon in the manual describing navigating through cyberspace. As someone who is well familiar with computer hardware and software, I should probably just “go with it”. It’s a fortunate thing that I was able to let go and roll with it because I have to tell you: once I got into this game and figured out the gameplay, I discovered one very good game. Not a great game, but a very fun one, nonetheless, and one that immediately earns a spot on my “good” list. What we have here is essentially a fast-paced 3D puzzle game. You are standing in a large grid. You have to put down code pads on an adjacent square in order to move to that square. You have up to 10 code pads which are shown at the bottom of the screen. 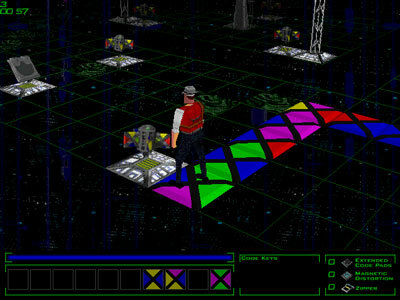 Each code pad has 4 sides, each of which has a color (red, green, blue, or magenta). Adjoining sides must have the same color. It’s a bit confusing until you jump into it. But you don’t have much time to think about it because the Tracer virus is constantly pursuing you, consuming the code paths that you have already laid down. You must build code paths to areas of the grid that contain refills on code paths as well as a few more items (a magnetic pad slows down the virus’ pursuit for a short time), all while trying to forge your way to the exit. 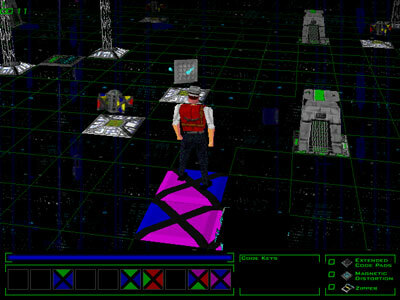 The game boasts 50 levels, plus a level editor. The levels keep throwing more and clever obstacles for you to think your way around. You are able to cycle through your available code pads in order to build the optimal path to your next destination. In practice, that’s incredibly hard to do since the Tracer virus is always closing in so quickly. The game’s tagline, “Think fast… or your next move may be your last!” is absolutely no joke. “Severe: General file transfer error. Please check your target location and try again. 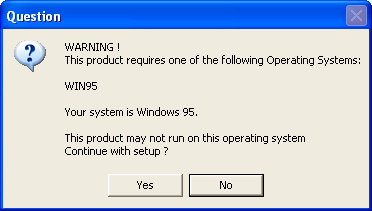 Wouldn’t you know, the standard remedy applied: Using the properties dialog on the SETUP.EXE file on the CD-ROM, set the compatibility mode to Windows 95. That saves many an old game and never ceases to impress me. I’m not familiar with Disney’s 1999 animated feature film Tarzan. But that turns out not to be strictly necessary in order to follow Terk & Tantor Power Lunch, another in Disney’s Hot Shots series of casual games. Terk is a gorilla and Tantor is an elephant; they are your hosts for this game, only present to do their best to explain the gameplay and then crack jokes at the start of each level. I say “do their best” because the gameplay is just a tad baffling. 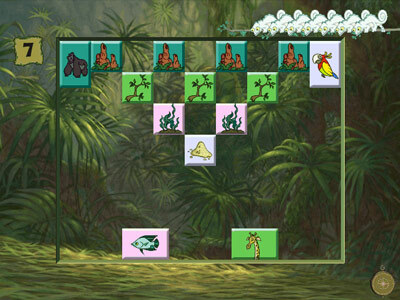 The boards also have cheetah and sloth powerups (or powerdowns, depending on what you need at the time) that speed up or slow down the chameleon, respectively. 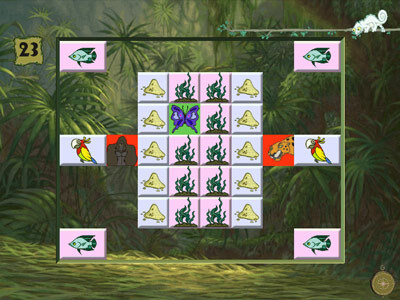 The there is the butterfly block which, when used properly, can eliminate a lot of food on the board at once.